KIOSK’s has extensive bill payment platform design choices and full feature bill payment software that can be easily customized for any automated payment environment. 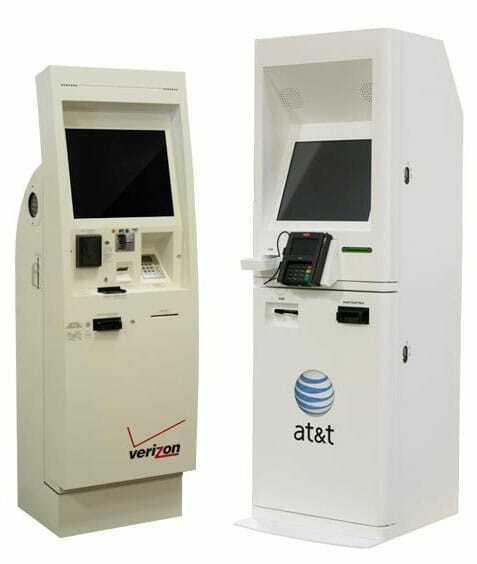 With over 10,000 units in the field (AT&T, Verizon, TIO…), KIOSK has an impressive track record with in-store reliability and mission-critical field service performance, supporting millions of transactions / month. Improved and automated services to un-banked and cash-preferred clients (multilingual options). Secure, encrypted debit / credit, and cash options. Increased sales productivity of store associates, driving higher per-store daily sales. Reduced transaction costs, accelerating ROI with each payment. Bill payment transactions facilitated in less than two minutes, improving service efficiency and revenue recognition rates. Reduced human error and reconciliation costs, for increased accuracy and higher throughput. Layered sales and informational application options provide Deployers with additional profitable platform features. Download the Bill Payment Solution Brochure for itemized software features and platform options. Increased customer spending through targeted merchandise promotions, complementary item cross-sell suggestions, and presentation of high-margin items. Easy collection of accurate long-term customer data, providing valuable communication and feedback tools. Programs provide actionable data to anticipate, measure, and reward individual buying behaviors. Convenient in-store customer sign up, delivering timely coupon incentives; targeted notices of upcoming promotions, sales, and events. Engaging customers in a loyalty program makes smart business sense for retailers committed to serving their customers and achieving revenue goals. 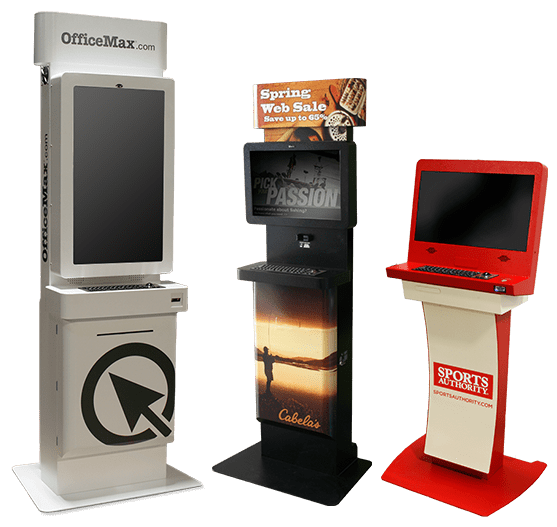 Modular KIOSK applications can be layered to support compatible application functionality for even better ROI. 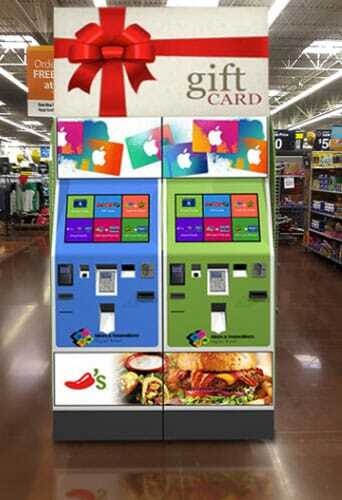 KIOSK is proud to feature the new Ideas & Innovations Gift Card Platform. This feature-rich platform dramatically transforms the gift card buying experience far beyond traditional end-caps. For consumers, it provides advanced features to independently drive gift card transactions, eliminating register wait time and limited selection. 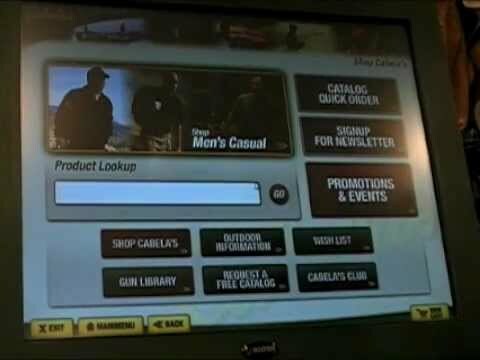 For retailers, the kiosk helps streamline operations, drive category revenue, and eliminate activation errors. Further, the overhead monitor is equipped with sophisticated consumer attribute recognition software, enabling the kiosk to present consumers with cards likely to appeal to their age and demographic. Ideas & Innovations provides turnkey programs with either self-contained or retailer API connectivity. Trusted backend applications ensure reliable services and secure transactions. Endless Aisle applications provide deep virtual inventory options for customers, while expanding store revenues for Retailers. The sales platform provides invaluable tools to boost both customer service and store profits. Kiosks provide virtually limitless inventory SKU selection, providing a better customer experience and in-store close ratio. Virtual product presentation cuts inventory carrying costs and steep “brick and mortar” expansion expenses. Facilitates presentation of oversized / specialty order items, and out-of-stock inventory. Provides Sales Associates with guided selling tools and access to rich libraries of product specs, video, and the best resources to maximize their effectiveness. Enables customers to independently check inventory status, pricing, product information or place orders (store or home delivery). On average, KIOSK Endless Aisle Deployers report a 1-3% boost in overall store revenues; a higher conversion rates on big ticket items, and up to a 35% lift in secondary purchases when picking up ship-to-store orders. 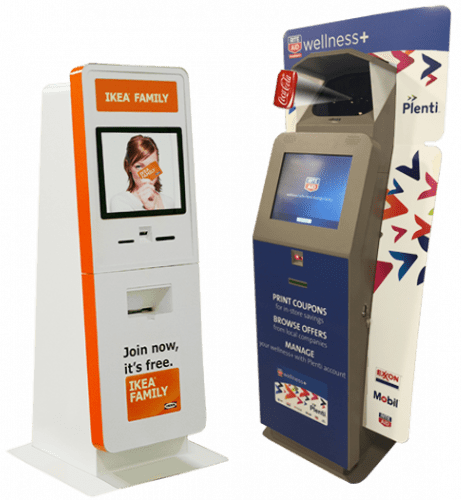 Solution platforms can readily support compatible KIOSK application functionality (loyalty enrollment, targeted promotions, mobile coupon’ing) for enhanced ROI. Did you know Posiflex is KIOSK’s new parent company? As the ties between the two companies have grown, so have our product lines. 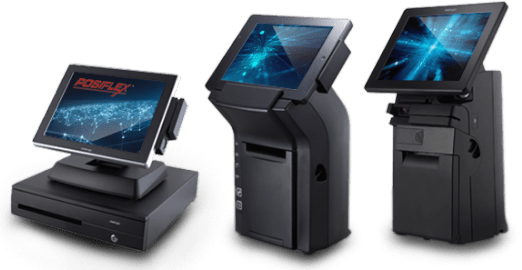 As industry leaders in both Point-of-Sale and self-service platforms, we are expanding and “cross-pollinating” solution offerings, bringing added value to retailers and greater execution caliber. Posiflex touch screen terminals can run virtually any Windows application to fit the transaction needs of any retailer or restaurant operator. The product line provides value, mid-range, and maximum performance models with comprehensive feature options to achieve the ideal price / performance / power combination. The links here will direct you Posiflex’s site and Sales Team for expert advice on the POS line.